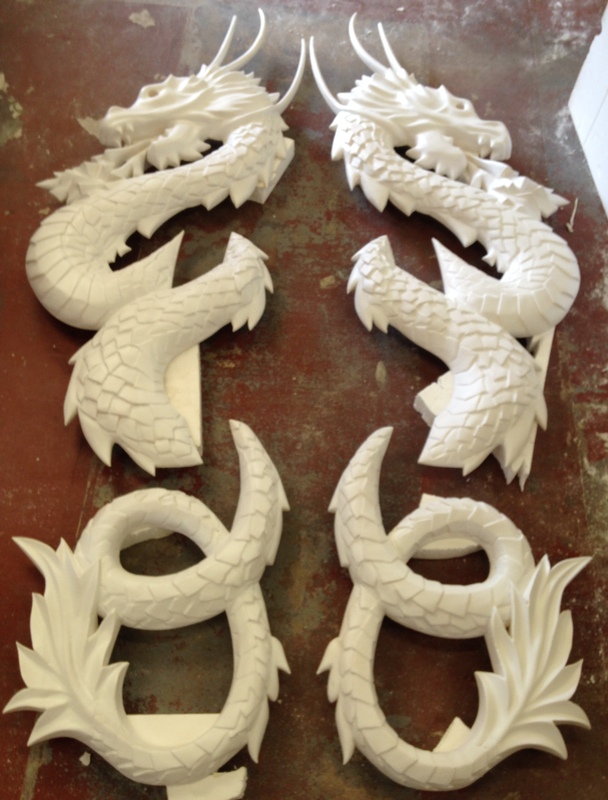 Brief: We were commissioned by TR2 to create 2 approx 5m high mirrored dragons. 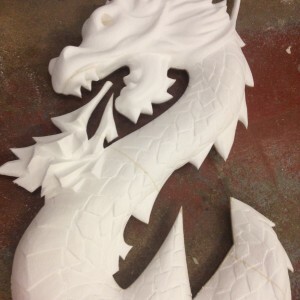 The dragons had to be 150mm thick, whilst still achieving a detailed 3d look. Step 1: We used the plywood board template to base the dragons on. 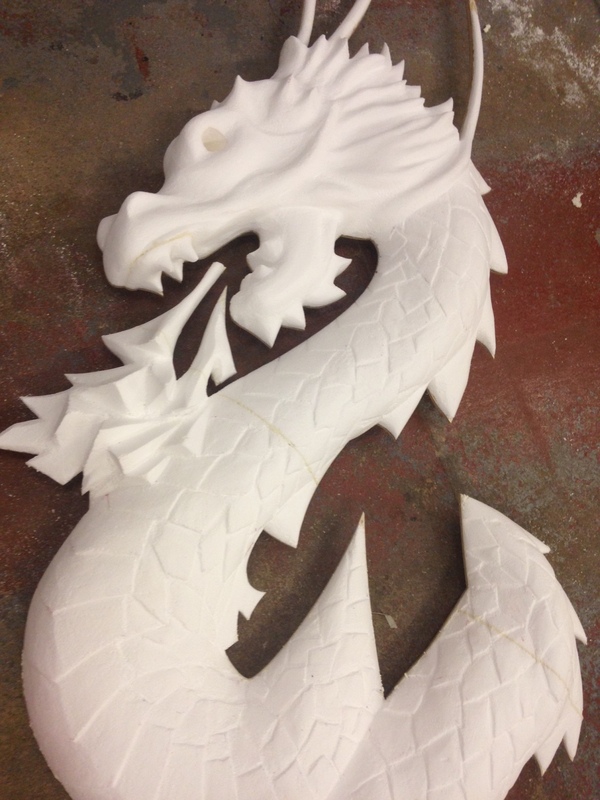 We glued the high density polystyrene on to the board and cut out all excess edges. 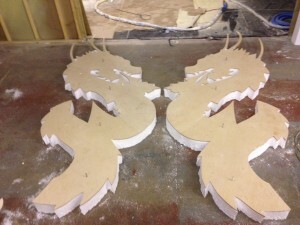 Step 2: As transporting the dragons had to be practical, we made each dragon in 3 sections. 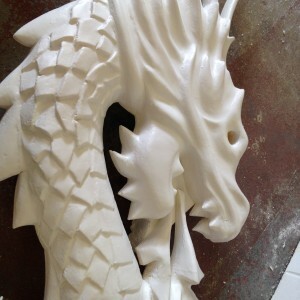 Doing what we love the most we carved and shaped the dragon sculptures according to given design. 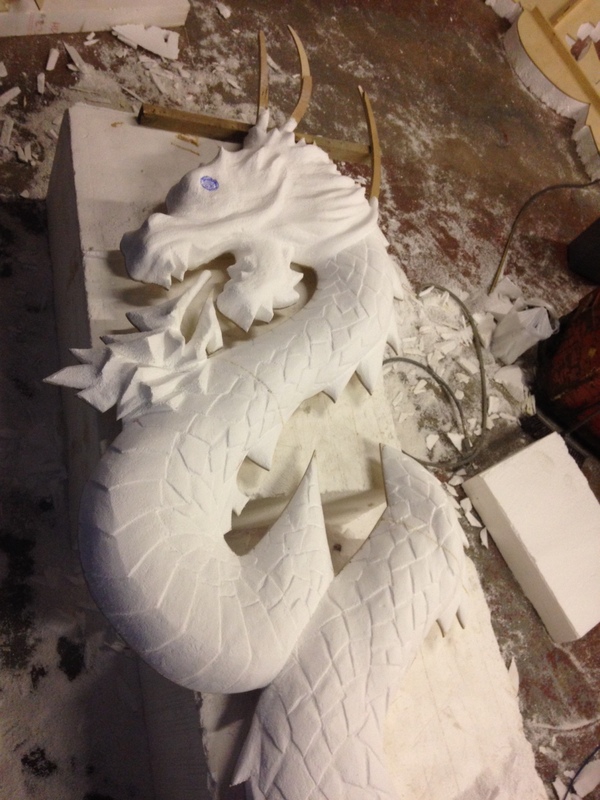 the scales on the dragons skin had to be varied in depth to make realistic as possible. Step 3: Next we applied hard coating FR Polyurethane application. 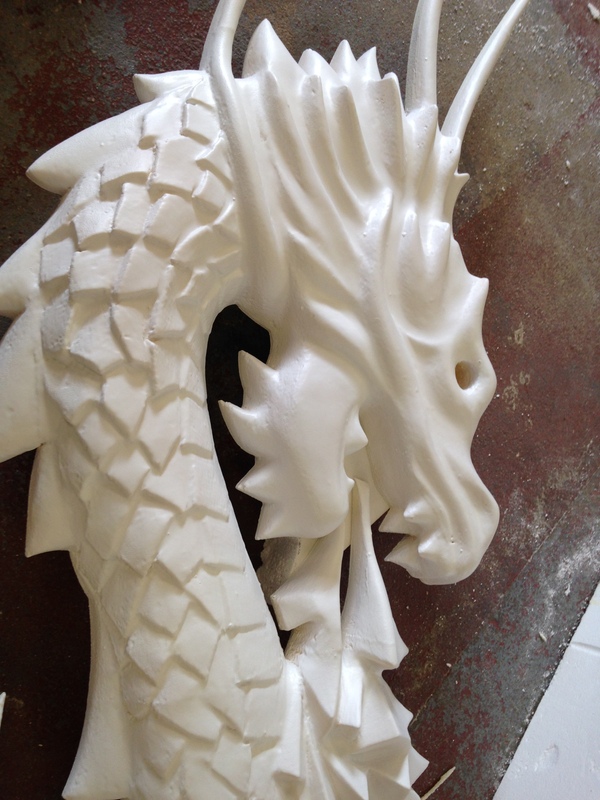 This will make the dragons waterproof and durable for decades. The high-tech spray method of this application allows us to continue with the next step within minutes. 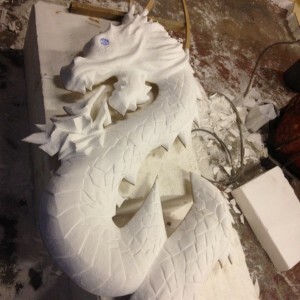 Finally: After sanding the dragons, we spray painted the dragons all over with a primer. Final color finish and decoration to be carried out by TR2.